I went to see the Bourgeois exhibition at Tate Modern last weekend. I couldn’t help but reminisce as I stood marvelling at the gigantic metal spiders like I did exactly ten years ago. Back then, the Dotcom boom had just begun and most business people knew we were onto something big. When the bubble burst, I managed to survive five iterations of staff reduction. All we got from management was radio silence. It was around that time that I read about a particular social experiment. A group of researchers had enlisted two types of people to test: those who considered themselves optimists and others who considered themselves pessimists. It was an experiment of two rounds. The first was made up of groups of three, consisting of two optimists and one pessimist. Each group then spent 15 minutes talking to one another. The point of the experiment was to determine which would be the dominant mindset at the end of the timed period given two different types of influence. Not surprisingly, the majority of groups found themselves feeling more optimistic after the first round. In the second round, the makeup of the groups changed to one optimist and two pessimists. Again, each group spent 15 minutes talking to one another. What do you think was the outcome? Participants by and large said they felt more optimistic after the round. What does that outcome tell us about sharing? How can we apply that outcome to stressful situations? When was the last time you talked things over instead of bottled it up? 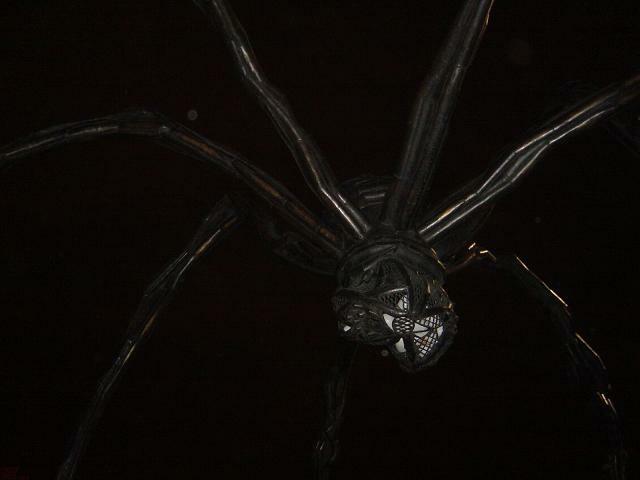 The entry 'The Story of the Gigantic Spider In the Room' was posted on January 28th, 2008 at 10:36 pm	and last modified on February 20th, 2009 at 11:42 pm, and is filed under Communication, Courage, Esoteric Minutiae, Kaizen. You can follow any responses to this entry through the RSS 2.0 feed. You can leave a response, or trackback from your own site.